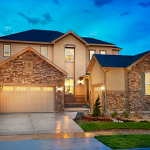 Whether you choose your builder’s standard appliance package or upgrade through their design center, you may be able to roll the cost into the price of the home and mortgage. This may help you afford the models and features you want while avoiding new credit card debt or other financing fees. 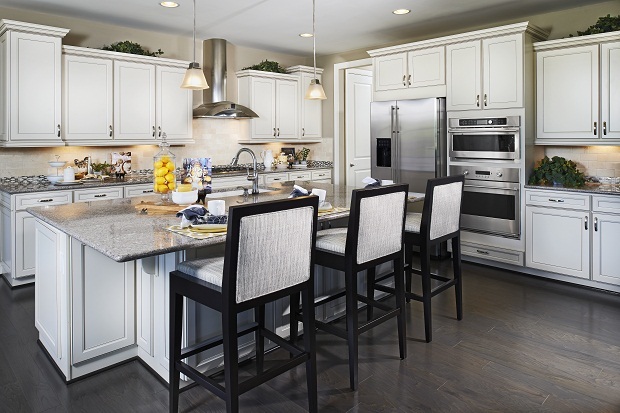 Selecting your appliances when you pick your other home options, like cabinets and countertops, can help you better coordinate the overall look of your kitchen and laundry room. Modern appliances are typically more energy efficient than older models. If saving money on your energy bill and reducing your carbon footprint are priorities for you, opt for new ENERGY STAR® certified appliances. Even if a resale home’s appliances are relatively new, you can’t be sure that they’ve been well maintained. Simple neglect, like a blocked dryer vent, unchanged ice-maker filter, clogged dishwasher drain or dirty refrigerator coils can add wear and tear to appliances, ultimately shortening their lifespan. That goes for household systems, too—like your HVAC and water heater! Older appliances may not be under warranty. New appliances are not only less likely to fail, but also bring the peace of mind that comes with a warranty. BONUS: You won’t have to remove or dispose of old appliances if you buy new. Buying a home soon? Download our free Comparison Shopping Guide. It’s filled with helpful tools that may help you choose between a new home or resale home, or even between new homes by different builders!